South Africa is a nation which relies heavily on the extraction, processing, and export of raw materials to generate revenue. This has led to an ever-increasing number of construction projects breaking ground in the nation, as multinational companies move in and begin constructing refineries, processing centers, mines, and other forms of heavy industry in order to process the nation’s mineral and material wealth. All of this construction also requires associated supporting infrastructure, including road building and maintenance, port construction and support, storage facilities, routing centers, and more. This has led to dust suppression in South Africa becoming a major issue as all of the construction is creating conditions that are both unhealthy for people and environmentally unfriendly at the same time. The government of South Africa and many of the companies doing business inside that nation’s borders have turned to companies like Global Road Technology for solutions to the problems associated with dust suppression in South Africa. 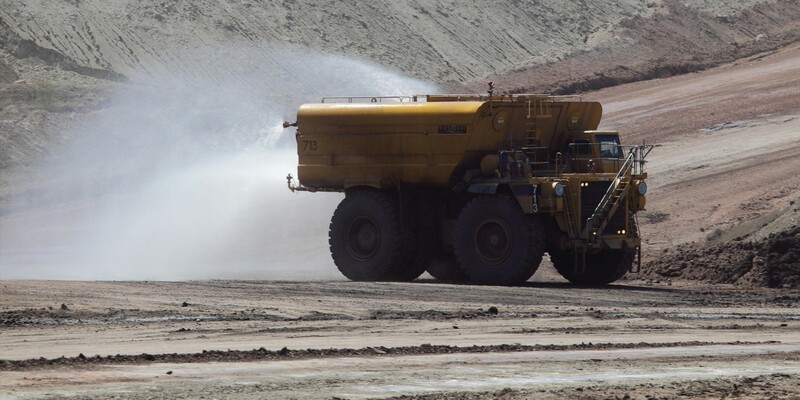 GRT is able to design, engineer, and implement full scale dust control and suppression solutions for an incredibly wide variety of industries and organizations. Let’s take a look at some of the most popular applications of dust suppression. Haul Roads – With all of the resource extraction sites in the country, hundreds of kilometers of haul roads have been constructed to support them. Employing dust suppression on this extensive set of haul roads keeps visibility high, increases safety, extends tire life, and reduces transport cost. Material Handling Sites – Material handling sites are another area where dust suppression is commonly employed. Suppressing airborne dust correctly will save water, and can be done in a non-toxic and environmentally friendly way as well. Mines – Obviously, mining operations generate an immense amount of excess dust and airborne particles; dust suppression in South Africa is a commonly encountered fixture at basically every mining site you can find, from diamonds, to nickel, aluminum, iron ore, and anything else extracted from the ground. Closed-circuit Loading and Unloading Systems – Once raw or processed material has arrived at port, it needs to be loaded into ships. Moving the volume of material around and onto the ship can again often generate clouds of excess dust and particles, making closed-circuit ship loading systems another popular application of dust suppression in South Africa. Crusher Boxes/Material Processing – Some types of ore and raw materials require additional processing before they are suitable for use or export; many times this processing includes the use of a crusher box or other technique that again requires the employ of dust suppression to ensure workers stay healthy and the local environment is not damaged too badly. As you can see in South Africa, dust suppression is employed to good effect in a wide variety of industries. It helps to keep the workers responsible for extracting, processing, and shipping the raw materials safe and healthy, keeps the roads safer during transport of these materials, and also protects the dock workers ultimately responsible for loading them onto ships and exporting the goods to the rest of the world. Above and beyond this, dust suppression in South Africa can really help curb the negative environmental effects often associated with the extraction and processing of raw materials from the environment. Global Road Technology is proud to help governments and companies the world over achieve these results through their revolutionary new dust suppression products and methods.